Find out a little more about our guests and what they do before coming to visit us in store. PATRICIA BEATTIE Health & Wellness Product Advisor. 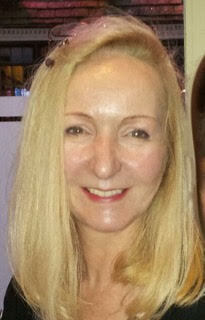 Patricia has over 30 years experience advising on health, wellbeing and conscious living. She gives advice on healthy eating & nutritional support for those with special dietary needs and guidance on food supplementation for general health. As a vegetarian and raw foodist, she has specialist knowledge on the benefits of many popular “superfoods” and can suggest easy ways to introduce them into the everyday diet for maximum health! Her holistic interests have taken her as far as to India to study Ayurvedic herbal skincare and to the USA, to help develop natural skin, hair and body care products for a successful natural product company. During her time spent stateside, she also qualified as Reflexologist, a Bach Flower Therapist and Therapeutic Touch Practitioner. 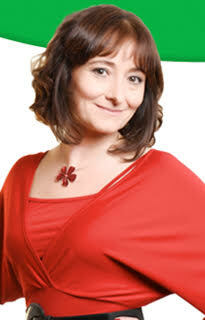 Since her return to the UK she has worked with a leading herbal medicine brand and is an expert on herbal remedies. Studying never ends and Patricia is currently taking a further course in advanced nutrition. 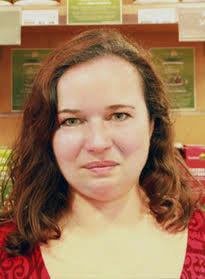 Véronique Soignot started working in the Health Food industry in 1997. She has 15 year experience working in health food stores, and as a result, has extensive knowledge of many different supplements brands. She qualified as a naturopath from the CNM in London in 2005. In the last 3 years, she has discovered the incredible potential of superfoods, has done a lot of research on them and more food-based supplements and is passionate about education customers on their amazing power. Marianna works in central London as a Trainer and In Store Health Adviser for A Vogel. She is also a Practitioner Life Coach with both personal and professional experience in stress management. She has a passion for helping people tap into their inner wisdom and maximise their potential for good health.